The Pentagon is considering how to attract and retain the best and the brightest people in areas like cyber-technology, even if that means easing recruitment standards and hiring older people or offering incentives like student loan repayments. Defense Secretary Ashton Carter began a two-day trip on Monday during which he will speak to students and soldiers about what the military will have to do to create the “force of the future.” The trip involves visits to Carter’s own high school in Pennsylvania, the Fort Drum military base in New York to meet soldiers and their families, and Syracuse University, also in New York. 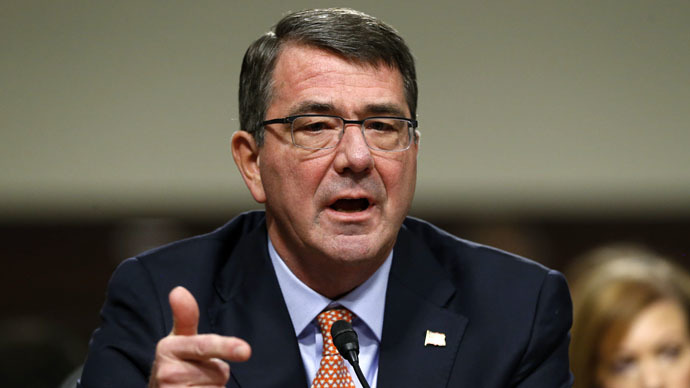 The military, Carter said, “could ease age requirements to bring in older people who are mid-career” or help pay off student loans “to attract student who have finished college,” reported The Associated Press. Carter said military personnel are increasingly working with cutting-edge technologies such as robotics and biomedical engineering. “Movies like ‘American Sniper,’ video games like Call of Duty’ and TV commercials with troops coming home are most likely where you see our military in your everyday lives, unless you have a family member or friend who is serving, ” said Carter in the statement. Soldiers, he said, are not just being deployed to war zones, but also where disaster strikes to provide assistance and aid, from the 2011 nuclear reactor meltdown in Japan to Hurricane Sandy to helping stop the spread of Ebola in Africa. The AP reported this is not the first time the military has had to think about how to ease recruitment standards. During 2006-07, the military struggled to meet deployment demands in Iraq and Afghanistan. They allowed more recruits with criminal records, some with felony convictions, to meet quotas. The unfortunate consequence of those policies led to escalating sexual assaults and suicides. Military leaders have complained that it is hard to keep cyber-professionals in the services because they can make far more money in private industries. The military is also starting to look at whether it can improve retirement benefits, promotion and evaluation systems, and offer more sabbatical for service members. “I don’t want to lose our best people. I don’t want to lose our best skills, and I know that I can’t take that for granted because you have lots of choices,” said Carter, speaking to soldiers and their families at Fort Drum.